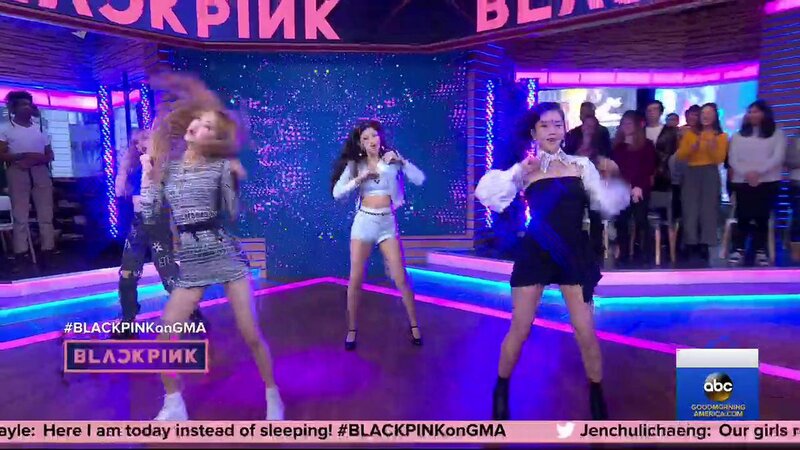 Good Morning America's tweet - "🎶HIT YOU WITH THAT DDU-DU DDU-DU 🎶🖤💗 #BLACKPINKonGMA #BLACKPINK #블랙핑크 #INYOURAREA "
Lisa you nailed it baby!! Snapped again!! No hate,but is this the only song they gonna sang for every tv shows? 😩. They were lip syncing the entire time. Not good. I give them two yrs tops. Before one of them want to leave the group. Any bets? Why were they lip syncing?? they’re really leaving me no choice but to stan.. THE GIRLS TONIGHT IS ON FIRE!